Home / Trips / Sailing Yacht Cruises / Sailing Balearic Islands. Palma de Mallorka. Set sail on a sailing vacation around the incredible Balearic island of Mallorca. Short passages and uncrowded anchorages make the Balearic Islands a premier cruising ground for Navigator Travel yacht charter. Located approximately 125 miles south of Barcelona in the heart of the Balearic Sea, Palma is rife with picturesque port villages—like Port d’Andratx, Portocolom and Cala Figuera—each sharing a laid-back way of life with their own unique charms. There is plenty to do and see in the vibrant town of Palma, where warm welcomes and charming Spanish vibes reign supreme, and the most delectable Mediterranean dishes will treat you to a second to none culinary experience. It is the perfect place to begin and end your one of a kind charter vacation around the splendid isle of Mallorca. On this adventure you’ll hug the coast of Mallorca, discovering ancient towns with vineyards and orange groves, towering mountain scenery and some of the most beautiful beaches in the Mediterranean. Day 1. Palma de Mallorca. The popular harbor town of Andratx is no stranger to the rich and famous. Impressive vacation homes and villas dot the steep cliffs, and the trendy, modern marina makes for an enjoyable overnight destination. Choose to visit the ancient town of Andratx, or stay harbor-side and enjoy the bars and restaurants. Sa Rapita offers one of the best beaches in Mallorca, Es Trenc, with its two miles of white sand and clear waters. The marina is close by the town, with great views south across the sea. Sa Rapita is also a peaceful place to stop for the evening. 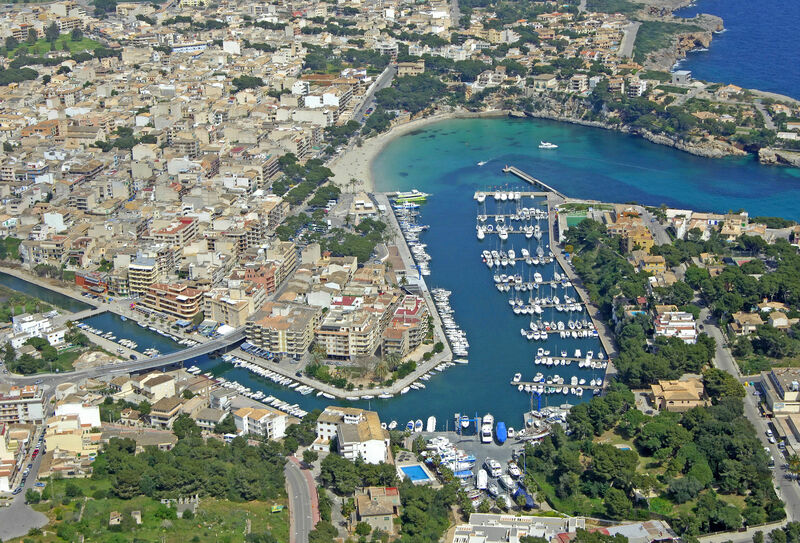 Porto Cristo has long been a favorite stop for yachties, with its incredible blue-green water, great beaches and position in a long, sheltered inlet. Take in the traditional atmosphere of this authentic fishing town. It's a short voyage down the coast to Cala Figuera, but there are plenty of things to see and do along the way. Visit the wide natural harbor of Porto Colom where fishing is king and the source of some truly tantalizing cuisine. Named after Christopher Columbus (who might've been born here), this small village is also a sought-after destination for wine aficionados, who come here specifically for DO Pla I Llevant wines, grown here since the age of the ancient Romans. One of the best preserved marine areas on the Spanish Coastlines, Cabrera National Park is an almost untouched oasis located near Mallorca. The natural life and beauty are abundant, making this an excellent escape from the bustling ports nearby. Head back to the beautiful and diverse Port de Mallorca for your last unforgettable night spent underneath whimsical stars over glistening Mediterranean waters. Make the most of your final vacation moments immersed in the charismatic culture of Palma and take the time to explore more of what you love most about Mallorca — historical sites, monumental architecture, mouthwatering cuisine, or the most impressive marina. The incredible blue-green water, great beaches and its position in a long, sheltered inlet have made Porto Cristo a popular stop for holidaymakers and yachties for decades. One you’ve had a drink in the traditional atmosphere of this working fishing town, head along the coast to explore the unspoilt ‘Dragon Caves’. Discover a hidden world on a guided tour of the Dragon Caves (Cuevas del Drach), exploring the stalactite-studded cave system and enjoying a short floating concert on the underground lake. Sailing Balearic Islands. Palma de Mallorka.